Today the new issue of Small Magazine (a very lovely quarterly online magazine) came out, an event I've been waiting excitedly for for a while because... 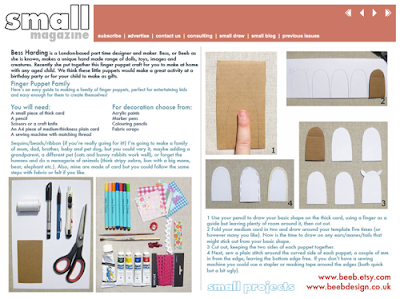 I contributed this issue's "Small Project" pages! 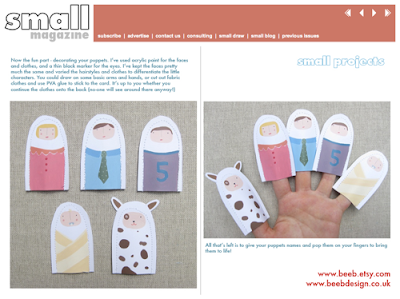 I put together step by step instructions for making a simple card finger puppet family a while ago, and am completely thrilled to see it in print. Beyond my small glory, the whole magazine is well worth a browse, whether you have children or not.